Over the past year I’ve written tons of pieces of content that help to grow traffic to my blogs, grow my social following and drive direct business enquiries. Having the opportunity to regularly write for a lot of the top digital marketing blogs like Moz, Search Engine Land and Search Engine Journal has been a huge catalyst for all of the above as well. Having said this, not all of my content has had the impact that I’d hoped for. For me, this isn’t always a bad thing because it helps me gauge what my readers are after so that I can improve my content going forward. If you’re churning out tons of content every month, you’d have to be mad not to take a step back and question what’s working. This is exactly what I do each month, or each time I target a specific type of audience in order to maximise the return on investment that I get. Whether I deem this as being through link acquisition, social shares and network growth, email subscribers or direct business leads, a structured content analysis process is what helps me realise this. I’m going to share the process that I take when it comes to analysing content in my own blogs and on the blogs that I write for. This has helped me dramatically increase traffic to my blogs and ensure that every minute of time I spend on creating new content has the maximum possible potential to deliver ROI. Using Find My Blog Way as a case study, I’m going to show you both how I carry out my content analysis and what I look for to identify opportunities. This data is invaluable to any content marketer as it allows you to truly understand what your readers want, and even more importantly, what motivates them to convert. The first stage is to gather all of the data around your content. In order for me to get a full understanding of what type of content is working I need to pull off a list of all the URLs on the site. There’s a number of ways that this can be done, one of which is through using Screaming Frog SEO Spider. All you need to do is plug in your homepage URL (as shown in the above image) and let Screaming Frog crawl through the site. You’ll then be presented with a long list of all the URLs in your site that can be exported to a .csv file. An alternative (free) to Screaming Frog is Xenu Link Sleuth which does pretty much the same thing. It’s pretty handy if you have a fairly large site and you’re looking to only use a free solution. Now, my preferred method is to use my site’s XML sitemap to gather a list of the URLs. The advantage here is that I can select only my article pages (which I keep in a separate sitemap), which makes analysing the actual blog content a lot easier. If you go with the first option of Screaming Frog/Xenu then you’ll have to organise the data into only the URLs you wish to analyse. 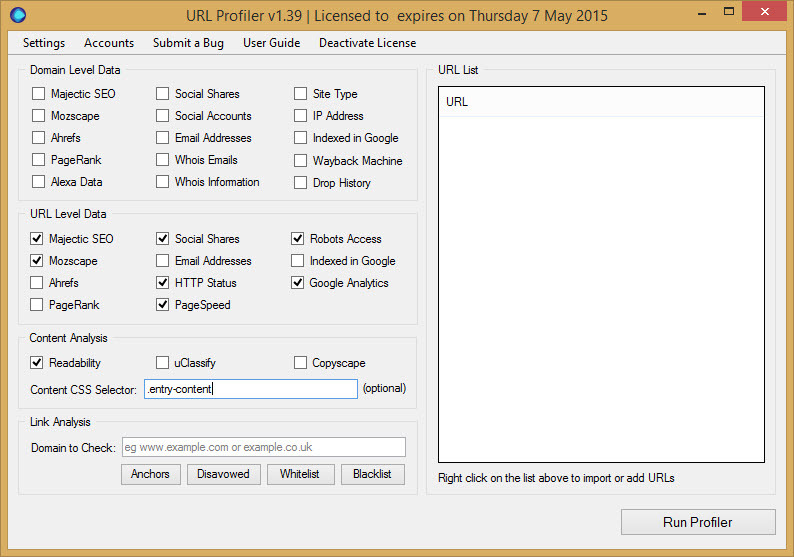 Now that you’ve got a list of your site’s URLs, it’s time to use one of my favourite tools, URL Profiler. If you haven’t tried out this tool, go and download it now. You get a free one month’s trial with all the features enabled so it’s well worth giving it a download. Once installed, URL Profiler allows you to upload your list of URLs, then link up your Majestic SEO, Moz, Ahrefs, Google Analytics, My-Addr, Copyscape and uClassify accounts in order to bring in a ton of extra metrics surrounding the URLs. Even if you don’t have access to any of these tools, you still get some great content analysis features. You can add your list of URLs into URL Profiler by right-clicking the right-hand panel and selecting to either paste URLs from the clipboard, import from a .csv or import from an XML sitemap. In terms of the options you select, this will depend largely on what other tools you’re integrating. 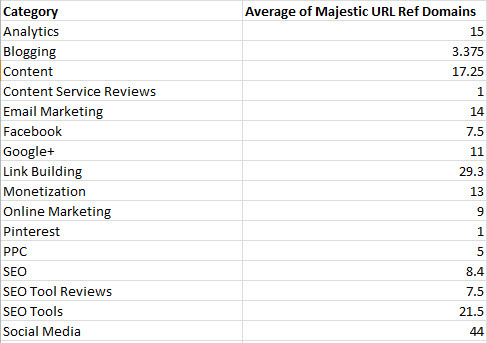 For my analysis of Find My Blog Way, I selected Majestic SEO, Social Shares, Robots Access (to check if any of my URLs are blocked by the robots.txt), Google Analytics, HTTP Status, PageSpeed, Mozscape and Readability. Another thing that I’ve done is added in .entry-content to the Content CSS Selector field. This field allows you to enter the CSS class/id that holds the main content of your webpage. In my case, this is the entry-content class. This feature is great because it will ignore a lot of the noise on your webpage when analysing the actual content (i.e. sidebars, comments, etc.). Once you’ve got everything setup, click Run Profiler and leave it to do its thing. If you’ve got a lot of URLs then you’ll probably have to leave it a while. Another thing worth mentioning is the ability to add proxies to the tool. If you have access to any private proxies then you can add them in the settings tab (if you’re looking to buy some proxies, check out this post by Jacob King first). Once URL Profiler has finished, you’ll get a CSV file packed full of data surrounding your website. At first glance this can be a little overwhelming, but don’t worry about that because it’s better to have more than you need than not enough. Taking this a step further, you can extract extra information through using some XPath. You can check out my full scraping tutorial here for more information. Now you’ve got the data within Excel, it’s time to make some sense of it. If you’ve used Excel pivot tables before then you’ll start to see how this analysis can work, but even if you haven’t, you’ll be able to follow my instructions to get going. First thing’s first, it’s time to create the pivot table. Simply go to Insert>Pivot Table and then select all of the columns of your worksheet. For more info, check out this guide. I wanted to understand which type of post was performing the best on the blog for generating backlinks, social shares and comments. 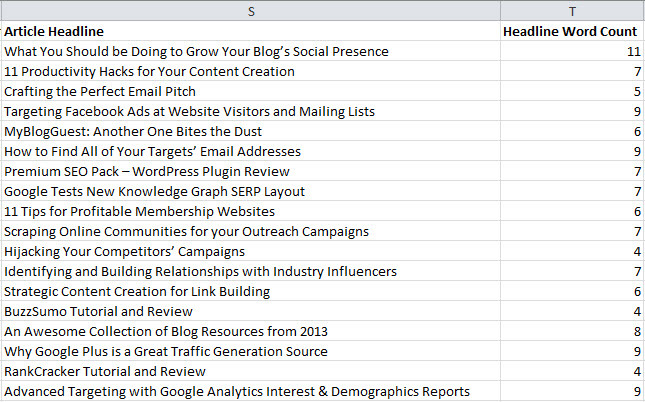 Using this data, I’m able to plan my editorial calendar around the categories that get me the best return – simple when you think about it, but it’s worrying how many people overlook this. To do this, I needed to extract the category type of each post on the blog and add it in as a new column to the data sheet. Now, I don’t fancy going through all of the site and copy/pasting this info in, so this is where scraping comes in! All that needs to be done now is to add a new column in the Excel worksheet and add the full XPathOnURL Excel formula (with a little help from the SEO Tools plugin for Excel) and apply it to all of my URLs. Simple! Once you’ve gathered the categories of each of the posts, it’s time to compare them against the various other metrics within the pivot table. Go to the Pivot Table worksheet that I showed you how to set up earlier and then refresh the data. You can do this by clicking on the pivot table, navigating to the Options tab and then pressing Refresh. The pivot table should now update and include the new data within it. All that needs to be done now is to add the Category to the Column Labels box and select Majestic URL Ref Domains (if you’re comparing against links) within the Values box. You’ll then need to click the drop-down arrow on the Majestic URL Ref Domains, select Value Field Settings and then choose to summarize the value field by Average. 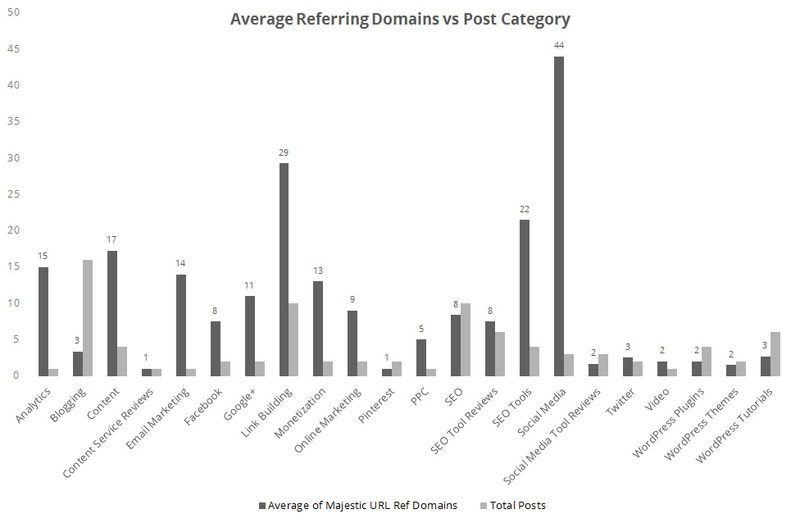 This gives you the average linking root domains across each post category. 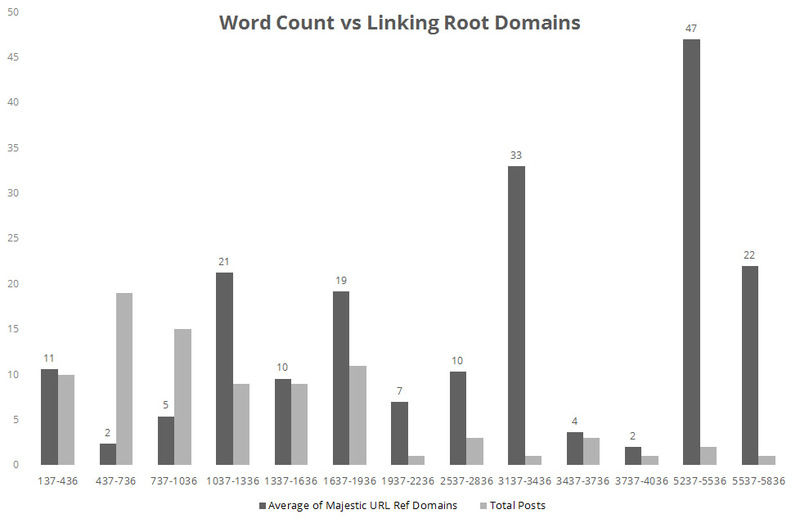 The chart shows that when it comes to linking root domains, articles surrounding social media, link building and SEO tools seem to be the clear winners. Understanding which day is the best to publish your content on can make such a big difference to the overall results of your content. Something as simple of posting on one day as opposed to another can be the difference between 500 social shares and 50 social shares – believe me, I’ve learnt this the hard way. To find this information out, I needed to extract some extra data from the blog. Similarly to post categories, I display the time that an article has been published within each post. This gives me an opportunity to use some more XPath to extract this data. Now that each article has a corresponding numeric value assigned to it that informs me of the day it was published, it‘s time to refresh the pivot table. 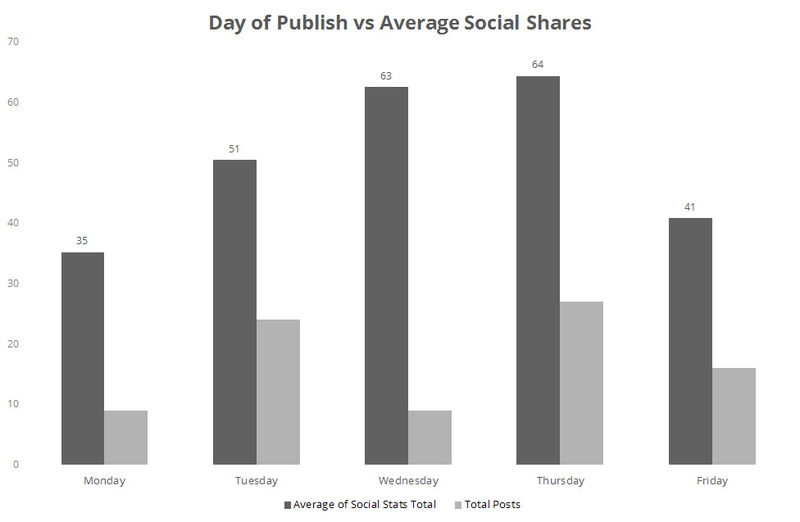 This time, I wanted to compare the average number of social shares on my posts across each day of the week. 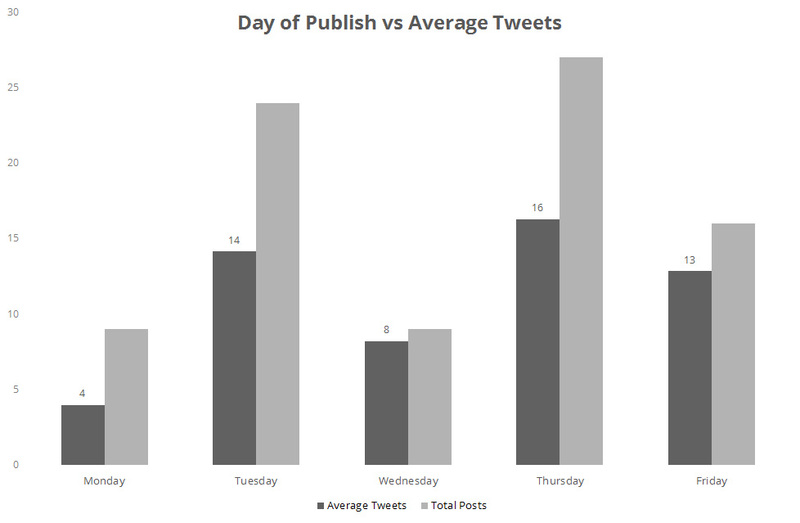 This would give me a guide towards the best day of publishing for gaining social signals. 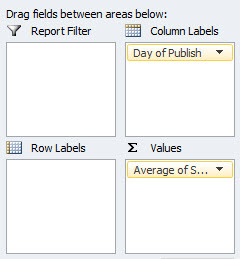 To do this, I added the Day of Publish field to the Column Labels box within my pivot table sheet, and the Social Stats Total field within the Values box (again, making sure that I selected the average figures within the Value Field Settings). 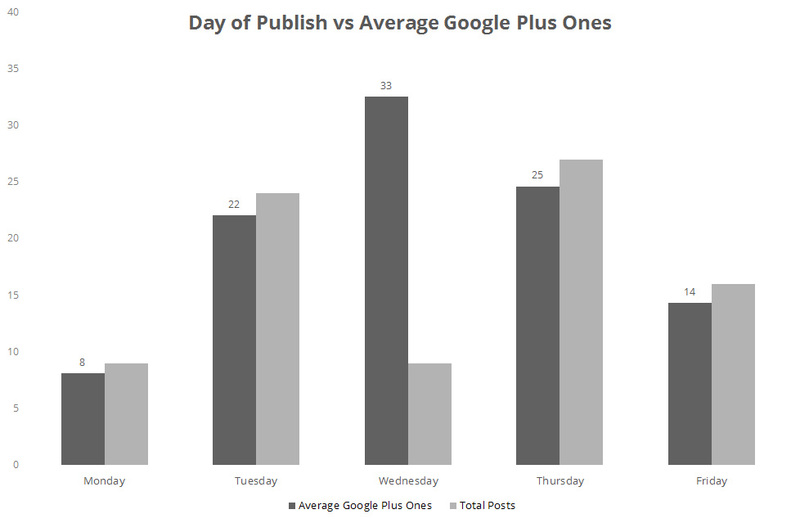 The key takeaway here was that Wednesday and Thursday were by far the best days for me to publish content on in order to gain social shares. I was also able to break this analysis down further to show the effects across each social network. Again, Wednesday and Thursday were the best days here, but Wednesday seemed to be the clear winner. The best publishing days for tweet acquisition are Thursday and Tuesday, whilst Wednesday was one of the worst days for this. These insights are so valuable to me because it helps me to better achieve the goals I’m setting and also allows me to tailor my content to the specific channels I’m targeting. For example, if I’m writing some content focused on building a successful Twitter campaign, I can use the data I’ve built to ensure it gets the maximum coverage possible across Twitter. Don’t underestimate the importance of a good headline. You can create a fantastic article, but if nobody reads it then it’s lost. Your headline is the shop window to your content and you need to make sure that every aspect of it is optimised to perfection. The length of a headline is a particularly important aspect (but not the only one). I’ve found that by either reducing or increasing (depending on the audience) the length of a headline, it can dramatically improve click-through rates. Within my blog, the headline of my post is automatically used as the HTML title tag, so URL Profiler had already gathered the titles from each article. If your blog doesn’t do this then you can easily pull it in via some XPath on the H1 tag. Now all that’s left to do is to refresh the pivot table and add in the values for comparison. Within this comparison I wanted to understand the correlation between the number of comments left on an article vs the length of the headline. 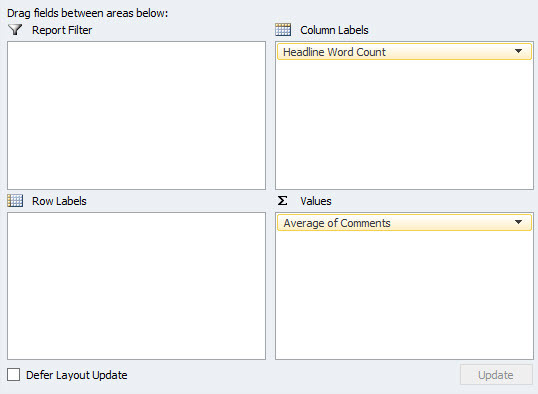 To do this, I added my Headline Word Count field to the Column Labels box and the Comments field to the Values box (selecting average within the Value Field Settings). 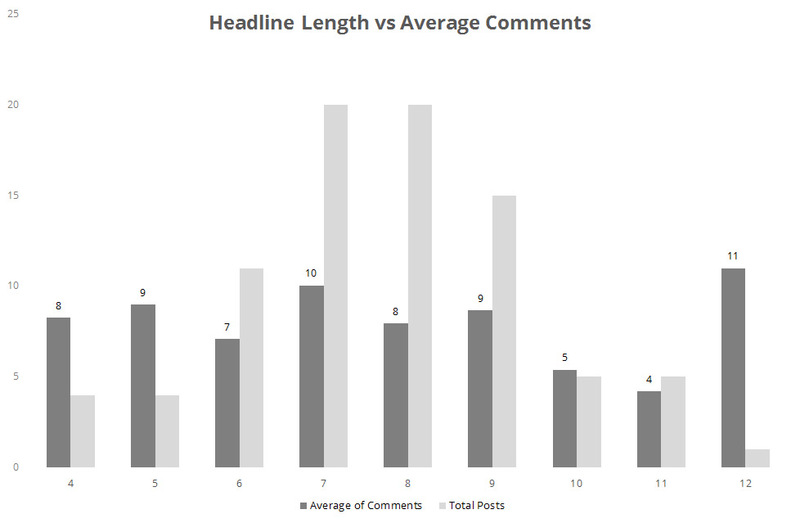 It looks like the best headline length for the blog (to acquire comments) is either 7 or 12 words, however the sample size for articles that have 12 words within the headline isn’t great. Taking this into account, the optimal length is 7 words. The story is pretty much the same for social shares, with headlines that are a length of 7 words achieving the most social shares on average. Links, on the other hand, tell a slightly different story. In this case, the longer headlines seem to get linked back to more frequently, with headlines of either 10 or 11 words being linked to the most. Like the length of your headline, the total length of your articles can have a huge impact upon their success. Another thing that I haven’t touched upon (but I’ll leave you to play with this) is that URL Profiler can also pull in the Google Analytics data from your website so that you can conduct further analysis associated to time on page, bounce rate, conversions, etc. Now, URL Profiler does bring in the total characters from within your articles, and as I mentioned before, you can tell the tool which CSS element to scrape in order to only pull in the stats around the content area of your articles. I don’t mind using these stats for analysis, but I much prefer to have the word count. To do this, I scraped the same CSS element to pull in the entire contents of each article and then used the =CountWords() function to total up the number of words in each post. The big winner for links is the longer-form content, which isn’t a complete surprise as these tend to be my ultimate guides that are pretty extensive. For the shorter content, it seems that posts between 1,037 and 1,336 words are pretty much perfect from a links perspective. 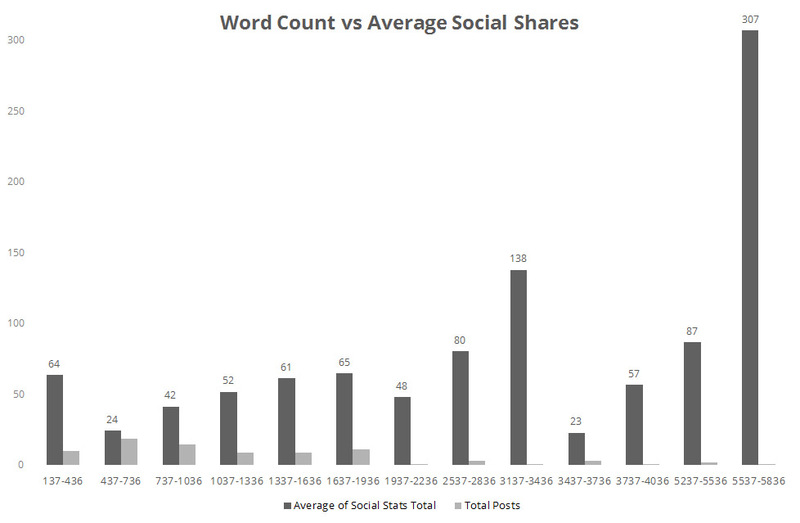 Social shares seem to increase as the word count increases. Long-form content is a clear winner on the blog (hence why I put so much effort into it!). The last thing that I wanted to look at was the type of content that was performing well. By this I don’t just mean looking at the category of an article, but instead I wanted to delve a little deeper into the theme of the content itself. List posts (articles that outline things in a numbered list). How to posts (articles that are giving specific how to advice). What posts (articles that mention what in the headline). Question posts (articles that ask a specific question). 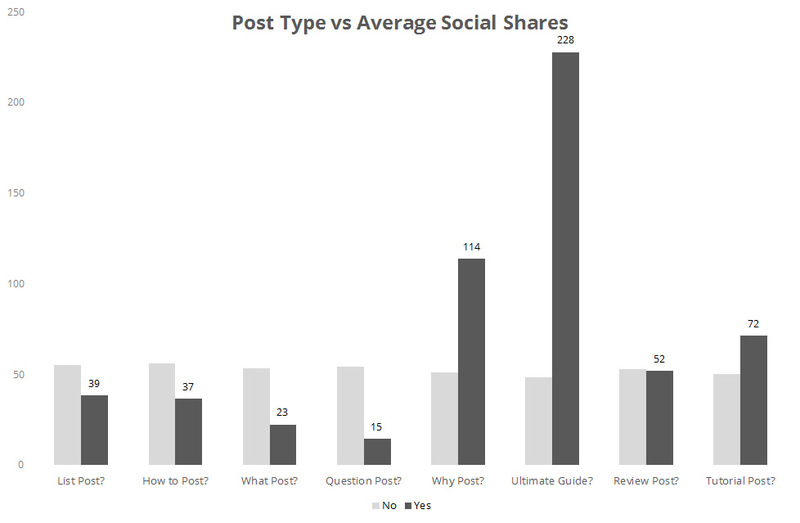 Why posts (articles that begin with why). Ultimate Guides (any of the ultimate guides I’ve written). Review posts (articles that are reviewing something). Tutorial posts (articles focused on giving tutorials around something). In particular, I wanted to find the themes that motivated people to share the article via social media so that I could create content that would get the largest online reach possible. Now, I’m not going to go into all the details of the formulae that I used to find out each post type. Instead, go check out this post from Annie Cushing. Interestingly, it looks like my Ultimate Guides are a clear winner on social media, along with the tutorials that I write. As well as this, posts that have the word Why within the title seem to perform really well. An example of this could be, Why Google Plus is a Great Traffic Generation Source. These are just a few things that I’ve chosen to look at, but the possibilities really are endless. Just ensure that you’re objective with your research and that you’re aiming to compare the performance of your content against key elements that make them up. Every website is different, thus the analysis should be tailored to each individual case. Some blogs have internal voting systems that allow users to rate posts that they read. If this is the case, this data can be used to better understand what your readers respond well to. Alongside this, there is all the data that you can pull in from Google Analytics to measure against. Metrics like total pageviews, bounce rate, time on page, scroll depth, conversions, etc. are great starting points for your analysis. Likewise, there are loads of different content elements that can be analysed, for example, paragraph length, time of publish, text/image ratio and many more. 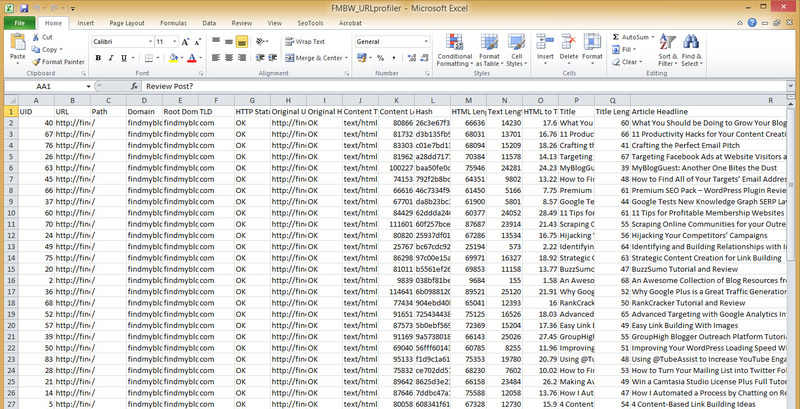 Use URL Profiler to extract big data around your content. Tailor the data further to fit your website through some custom scraping. Compare key performance metrics against content elements. Remain objective with your analysis and use the findings to improve your ROI. You should be consistently testing and improving your content. If you’re not then you’re missing a huge opportunity. 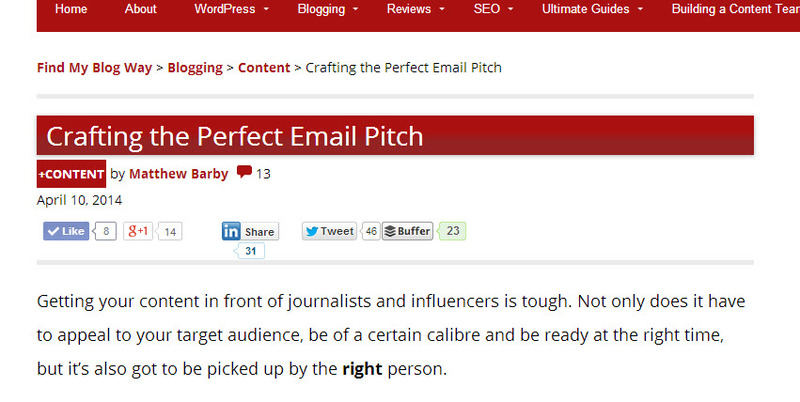 greatt stuufff… .will be taking this approach for our clients blog! Great stuff. Thanks – glad you’ve found it useful! A suggestion for researching content performance is making use of natural language processing systems. Alchemy has a decent API, which easily shows you the keywords for which an article is relevant for example. I love alchemy! That’s a good suggestion. Spot on – this is really just a starting point, you can do so much with data. That’s why I love it. I haven’t really seen much correlation between content size and links either, but people seem to definitely be more inclined to share a post if it’s long – I use the social content locker as well, so you can offer PDFs etc.. In return for social shares.. Which would obviously then increase the shares anyway. Hey mate, yeah I’ve found that Thursday’s work particularly well within this niche because a lot of us will bookmark the post to read on a Friday or over the weekend – when someone’s done this on a Thurs, it’s fresh in their mind and also not too old to share on the likes of Inbound.org, etc. Matthew, Love the data on this! I’m going to start looking at my content more like this! It’s amazing how much intelligence that you can gather from simply looking at your own content – it’s even more amazing how many people aren’t doing it! Nice analysis! It’s always important to take a look at what’s working. I thought about doing something similar, now it’s all laid out for me! I haven’t gotten this far into my analytics having a newer website. However, this is great stuff and the resources you provided are spectacular. One thing I’m figuring out from Google Analytics is how powerful social sharing is for my site traffic. That’s where most of it is coming from right now. A shocker for me is DISQUS is sending a decent amount of traffic as well. The content is what really is making the difference though… I’m writing directly about web design and development, but instead about the importance of messaging through knowing the real problems you solve and communicate to those. It’s amazing how keyword rich it is when you get in tune with how your target audience is searching and engaging. By the way, knowing what problems you solve will help you determine who your target is and where they hang out.